Elokenz is a set of tools designed for bloggers as well as web journalists, content marketers or SEO consultants. We aim to help all content producers to increase their visibility and to engage with their readers. Elokenz developpers are currently working on new smart tools that will help you be more efficient and generate more traffic. Track the evolution of your blog posts' virality. 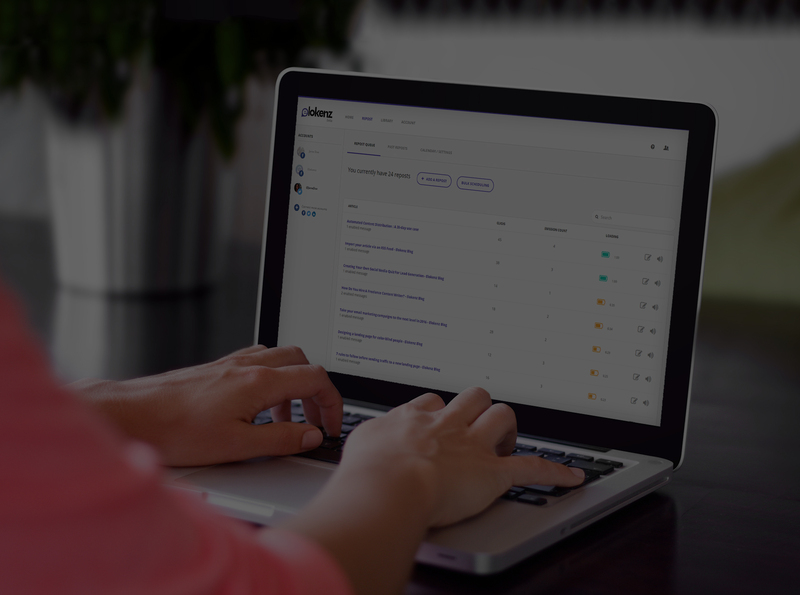 Discover the topics your readers prefer and share most. 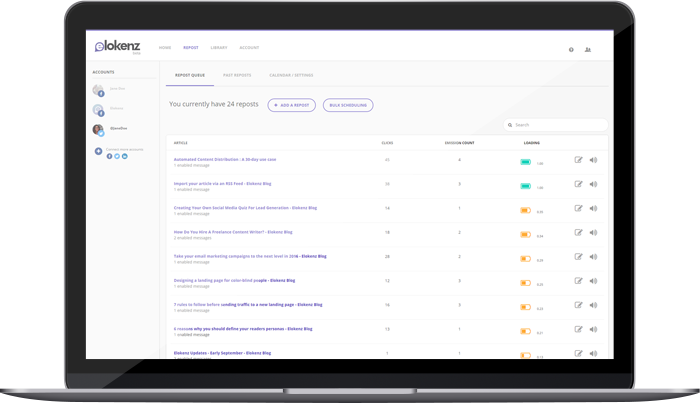 Get your content analyzed by an intelligent agent and reposted automatically on social networks when it has most chance to resonate. Your exposure lasts forever. New tools are currently in development. To receive updates about Elokenz new products, sign up to our newsletter. 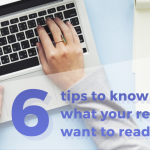 The post 6 tips to know what your readers want to read appeared first on Elokenz Blog. 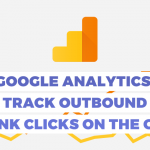 The post Google Analytics: Track outbound link clicks on the go appeared first on Elokenz Blog. 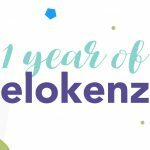 The post Elokenz is turning 1 year old appeared first on Elokenz Blog.